Hard-core street fighters, bring it on!. Show us what you’ve got. - Join this true-to-life multi-play gang fight with global users in real time. ★★★★★ A true-to-life group fight that you can’t afford in real life. ★★★★★ Forget about skills like Taekweondo, kickboxing and Kungfu. __________ A pre-emptive strike matters! ★★★★★ The best multi-play group fight game ever! ★★★★★ A world beater in the group fight online is a genuine fighter! ● A real-time multi-play true-to-life gang fight. ● A street fight of sheer strikers with no macho bravado. Feeling stressed out with studying, finding jobs and boredom? 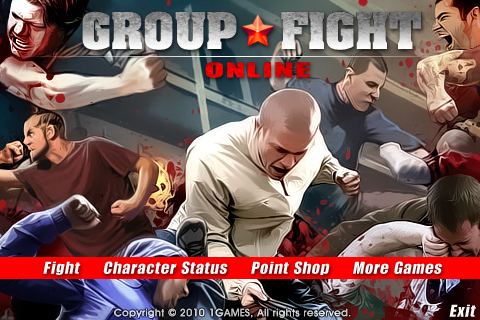 Bust your stress with ‘Group Fight Online’!